Sunrise shot @ Mount Mayon,... 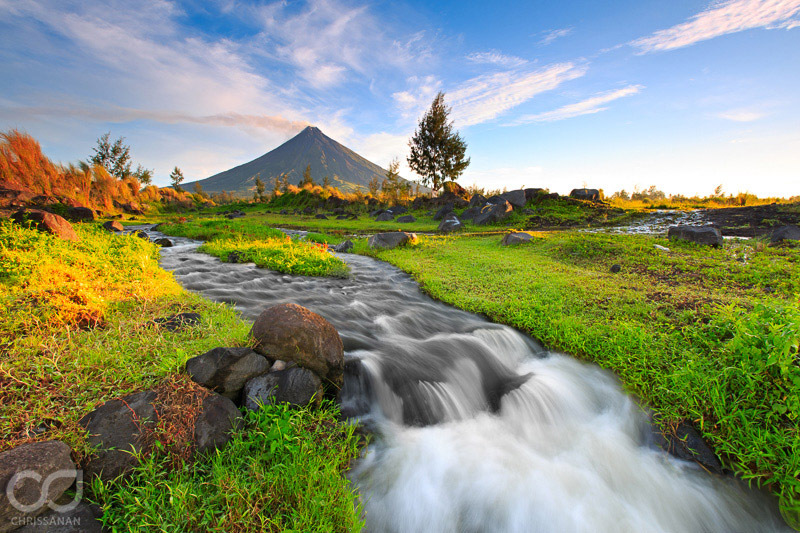 It is an active volcano in the province of Albay, on the island of Luzon in the Philippines. Renowned as the "perfect cone" because of its almost symmetric conical shape. It looks like HDR and ND filter I think. Another beautiful picture, well balanced and aesthetic. You have an expert equipment and it is a pity that you do not give your opinion on the pictures of others, you have an excellent knowledge about photography and you do not share advices. This is what I noticed and this is my opinion. In a way I follow the words of Daisy, assuming that the main purpose of this site is to promote the photo quality, the method of learning and teaching. Now, about your picture I want to tell you that she does not like me like the previous ones, because it seems to have a forced, with many unatural beauty and excessive interventions Photoshop. I imagine that you are an active photographer advertising, whose appointments are not necessarily purely aesthetic or artistic. I ask you to meditate on it and give us your opinions and show us from time to time the original photo, as she came out of the camera. This allows a good comparison and evaluation of the work of editing. The result of your images are spectacular. I do like the work. You have achieved what most of us will never do. You give us something to aspire to. Keep the images coming. It is your artistic vision that puts the images over the top. Of course you have the movement of water on your side. clever and effective use in your images. Very artistic, but the shot has lost its natural photo feel. I do like this though.